Package Includes: 1 x Component AV Cable compatible with Sony PS1/PS2/PS3/PS3 Slim Compatibility: Sony PlayStation 2 / PlayStation 3 / PlayStation 3 Slim Product Description: 1 x Component AV Cable compatible with Sony PS1/PS2/PS3/PS3 Slim This component cable is specifically designed to provide the sharpest video and sound for your Sony PlayStation 3 ( PS3 ) gaming systems. Connect to your HDTV (High-Definition TV) or EDTV (Enhanced-Definition TV) and enjoy the most stunning graphics available from your Sony PS3 via 480p resolution Ultra thick and flexible PVC jacket with color coded connectors help to simplify installation AV Cable Type: Audio / Video Cable Connector: Sony PS3 AV Plug to Component Y/Pr/Pb, L-channel, R-channel (Male Color: Black Accessory ONLY. Game console not included. Note: Please adjust the TV setting to "Component Video Input" on setting page if needed Note: Not compatible with PS/PS1/PSone/PS one WARNING: This product can expose you to chemicals including DEHP, which is known to the State of California to cause cancer and birth defects or other reproductive harm. For more information go to P65Warnings.ca.gov. Product names are trademark of listed manufacturer or other owners, and are not trademarks of Insten Fulfillment. The manufacturer does not necessarily endorse use of these products. Note: Not compatible with PS/PS1/PSone/PS one. Please adjust the TV setting to "Component Video Input" on setting page if needed. 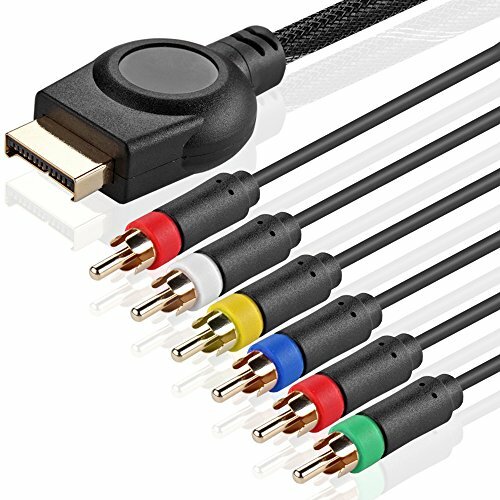 Use these high-quality cables to connect your PlayStation 2 or PlayStation 3 console to the YPbPr component video inputs on your TV or other video equipment. These cables are properly engineered and constructed to deliver the best analog video & audio out of your PS2 or PS3 console. The fully shielded design eliminates audio and video crosstalk, while the 75 (75 ohm) impedance effectively transmits the full video detail even at 1080p resolutions. ***WARNING*** for PlayStation 2 consoles only: For certain games/software (i.e. most PS1 games and a handful of PS2 games), your television or display must be able to support "240p/288p" video over YPbPr to use this product. If this a concern for you, then please test your equipment using HD Retrovision's 240p Compatibility Test prior to purchasing. 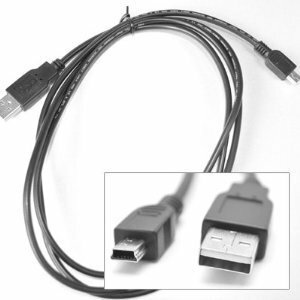 Cable Specifications: Length: 6 feet (1.8 meters) nominal Impedance: 75 (75 ohm) nominal Shielding: Aluminum Mylar w/ Copper Spiral RoHS Compliant PlayStation 2 Supported Video Standards: CEA-770.2-D (240p60, 480i60, 480p60) CEA-770.3-E (1080i60) ITU-R BT.1700 (288p50, 576i50) PlayStation 3 Supported Video Standards: CEA-770.2-D (480i60, 480p60) CEA-770.3-E (720p60, 1080i60) ITU-R BT.1700 (576i50) ITU-R BT.1358 (576p50) SMPTE 296M (720p50) SMPTE 274M (1080p60, 1080i50, 1080p50) *NOTE: "60" implies both 60Hz and 59.94Hz. Note: Cables only, Controllers Are Not Included!  Universal Compatibility: Compatible with Sony PS Move / PS3 / PS3 Slim Wireless controllers and more devices with mini USB port.  Magnetic Ring Design: Provide optimal signal clarity and shielding to minimize interference. High quality copper wire inside is firmly ensures rapid-charge and fast data transfer.  High Speed And Durability: USB 2.0 specification, Hi-Speed transfer rates up to 480Mbps. Premium soft protective PVC housing, flexible and tangle free.  Longer To Enjoy: 3M / 10ft cable length provides the freedom you need to sit back and enjoy playing at comfortable distance.  Backed By Real Support: 24-month warranty and unconditional refund or replacement included, No questions asked policy which makes this purchase a no-brainer. The friendly team at our TPFOON headquarters is here to help and your satisfaction is our top priority! 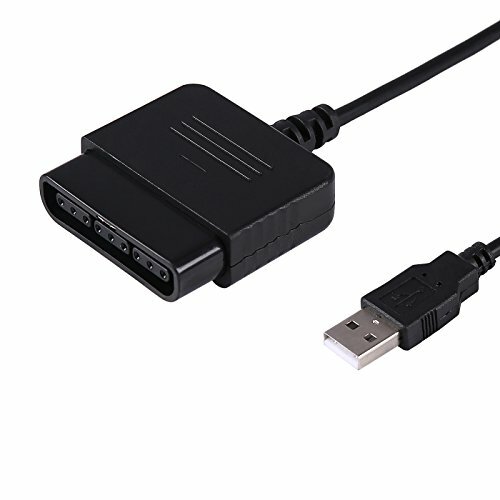 USB Controller Adapter Converter Length: 8.26". Convert your PS2 Dual Shock Controller into a PS3 Dual Shock. Convert PS2 Controller to PC. 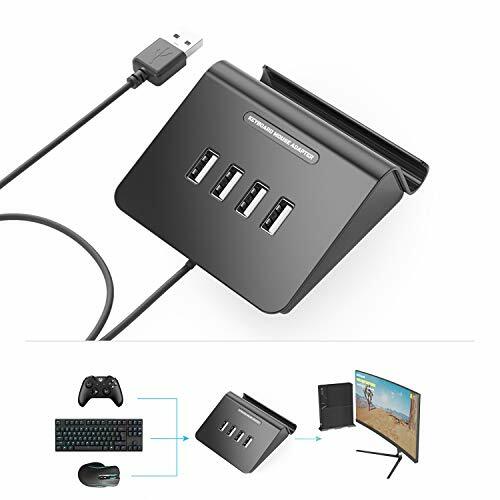 Easy to set up and use Supports most of PC games, can be directly used with PC computer. Compatible with Windows 98 / ME / 2000 / XP. 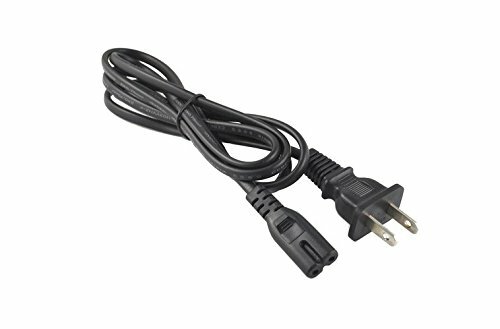 for PlayStation 3 Controller, Easily play PlayStation 3 while simultaneously charging your wireless controller, 6ft. / 1.8M cable allows you to play comfortably. this is a generic product, but the quality is on-par with its name-brand counterpart. Trademarks referenced in this listing are for descriptive purposes only. The products in this listing are made by a third-party manufacturer. Charge two at once for maximum gaming! 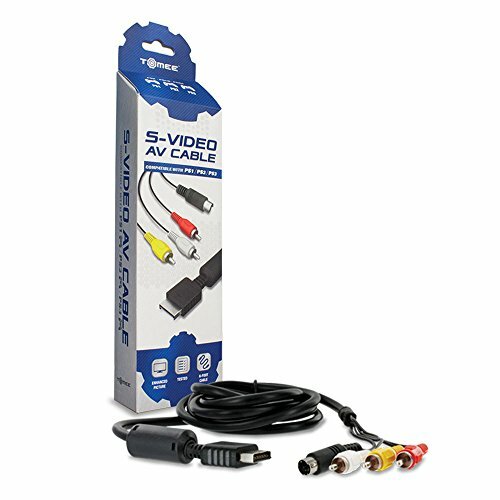 Achieve superior picture quality with the Tomee S-Video AV Cable for PS3/ PS2/ PS1. Maximize the clearness and crispness of your TV's resolution. Enjoy the best possible resolution for your television. 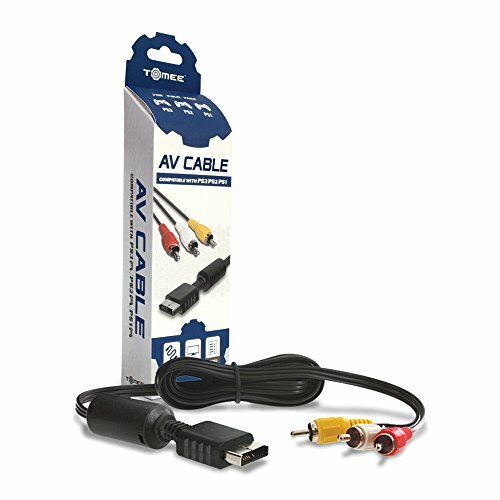 The Tomee S-Video AV Cable for PS3/ PS2/ PS1 provides higher resolution for TVs featuring S-video or AV inputs. The included connector allows you to connect light guns connector to your TV without unplugging your existing cable. 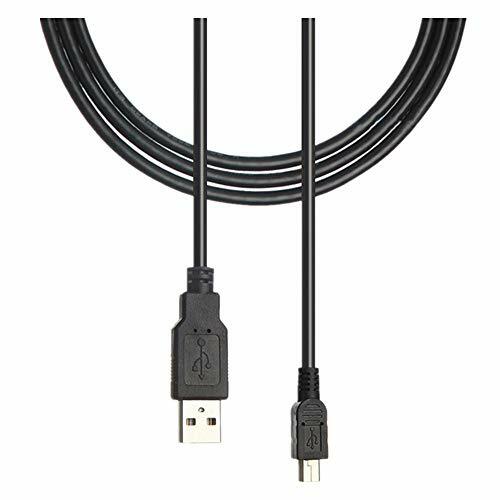 This component cable is specifically designed to provide the sharpest video and sound for your PlayStation 3 ( PS3 ) gaming systems. Connect your PS2 or PS3 to component video (YPbPr) and audio inputs. Uses the AV Multi Out port on the Playstation to send analog signal to separate audio and video inputs on NTSC-compatible TV sets or other electronics. Component video supports Progressive Scan and yields sharp, clear images and text. Step 1: Power off your Sony DualShock 4 Wireless Controller then connect it to the Adapter with a Charge & Sync cable. Step 2: Plug in your Keyboard&Mouse to the Adapter. you can use the keyboard&mouse instead of game controller. * If the keyboard&mouse do not work after you plug in everything. Please re-plug the keyboard, mouse, adapter and controller. * The controller must be Sony Official DualShock 4 Wireless Controller and in power off status before connecting. * The cable that connect the controller to Adapter must be charge&sync cable. Step 1: Power off your Xbox One Standard Wireless Controller then connect it to the Adapter with a Charge & Sync cable. Step 2: Plug in the your keyboard&mouse to the adapter. Step 3: Plug in the Adapter to your Xbox One console. The console will think a controller connected after a few seconds. Now you can use the keyboard&mouse instead of game controller. * The controller must be Microsoft Official Xbox One Standard Controller and in power off status before connecting. Xbox One Elite Controller and other controllers can't get the Adapter to work. Step 1: Turn on your Switch console. Go to "Settings" - "Controllers and Sensors" - "PRO Controller Wired Communication"
and click ON. Back to Home menu. Step 3: Plug in the Adapter to your Switch console. 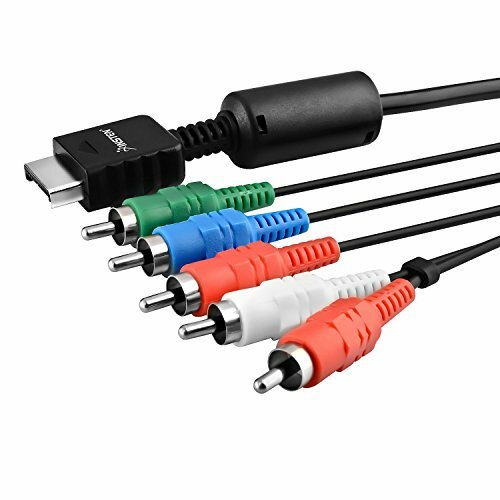 A set of red, white, and yellow plugs that connects to the Audio/Video inputs on your TV. Provides high quality pictures. Compatible with PS3 Slim console. Made by Third Party, NOT official item. 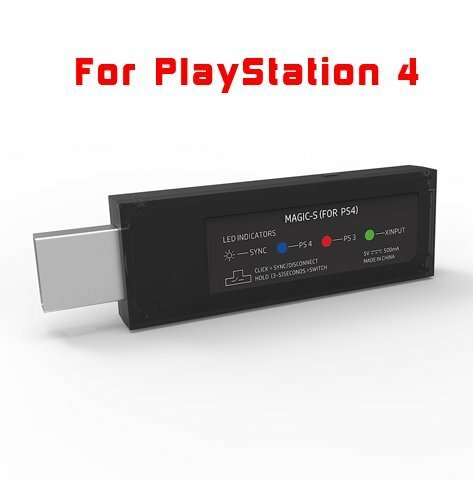 PlayStation 3 to PlayStation 4 Controller Converter Convert all of you PlayStation 3 controllers for use on the PlayStation 4 system! The brook adapters focus on giving you LAG FREE support for multiple system accessories on the PlayStation 4 console! Use Madcatz, Qanba, Hori, Sony, PDP branded product on your Playstation 4 system! Works with arcade sticks, fight pads, custom controllers, official wired controllers. Works in all games, Mortal Kombt, Street Fighter IV, Street Fighter V Preprogramed profiles for standard controls Customizable control scheme's Add turbo functions to any controller Updatable firmware! PLUG and PLAY! Just plug the adapter into the system, no setup required! 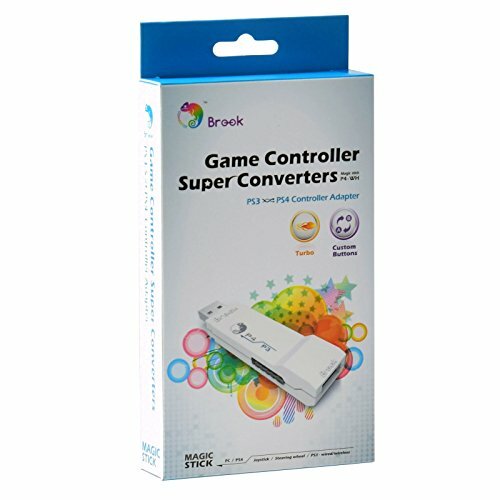 NOTE: The latest PS4 firmware update disables the Brook Super Converter after 8 minutes. Brook has developed a firmware update to address this. Please make certain to update your device firmware before using. NOTE: Each Brook Controller Adapter can only handle one wireless PS3 controller at a time.Please check the compatibility of the product at the brook official web site before you place the order because NOT all the brand or models of the controllers / wheel / Joystick are compatible with the brook adapter. Design: Transfer images and data between your camera/cell phone to computer by USB port. Speed's 2.0 specification, Hi-Speed transfer rates up to 480Mbps. Wirelessly connect your PS4, PS3, Wii U Pro, Nintendo Switch Pro and Xbox One S Bluetooth controllers to your PS4, PS3 or PC system. The wired PS4,PS3,Xbox One, Xbox 360 controllers and fight sticks, and standard wired USB controllers like Logitech rumble gamepad F510 and F310 can be connected to your PS4, PS3 and PC system. Plug and Play. Supports NeoGeo mini. Please download the newest firmware V1.23 to get it work on PS4 firmware 5.5. Adapter comes in plastic bag. Please note that this item comes in a plastic bag. Welcome to Charberry , may you have a pleasant shopping experience! If you have any problems about our products, please feel free to contact us at any time, we will try our best to help you, thanks in advance! 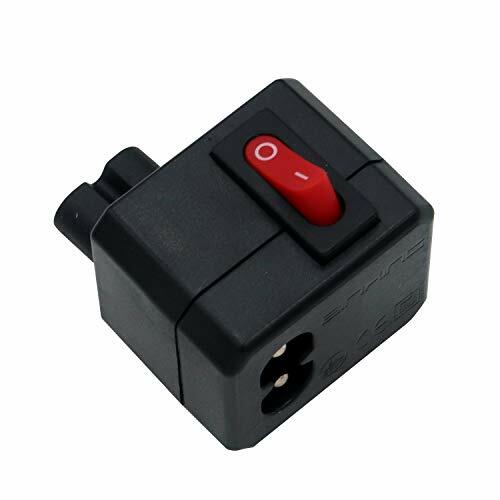 1 x Male 'A' Plug to 1x Male Mini B 5 pin Plug. Customer's satisfaction is the most important thing for us,Any problem(unsatisfied) could be solved through communication, please rest assured to purchase products!!! 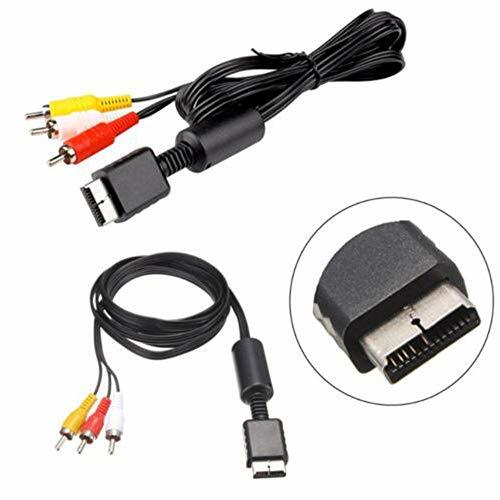 Features1.Compatible with Playstation/PS2/PS3/PSX 2.Replace the lost, old or damaged AV cables for your Playstation consoles. 3.Dock connector plugs directly into the game console. 4.Enjoy better gameplay with clear graphics and sharp pictures. Easy to Use: Connect your PlayStation to a television with s-video or video connection and achieve better picture quality. 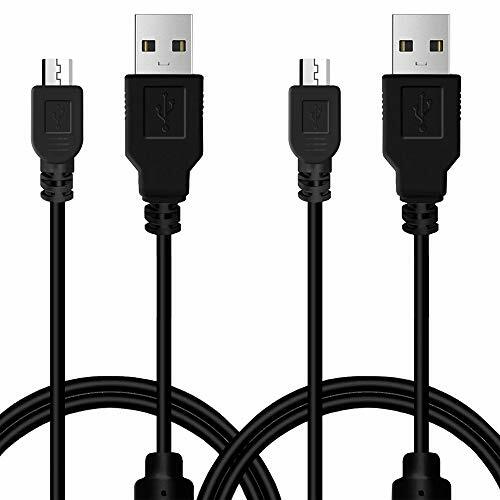 1.8M Length: This AV cable is 5.9 feet in length with standard AV composite lead, yellow, red and white connectors on one end and input for Playstation on the other. 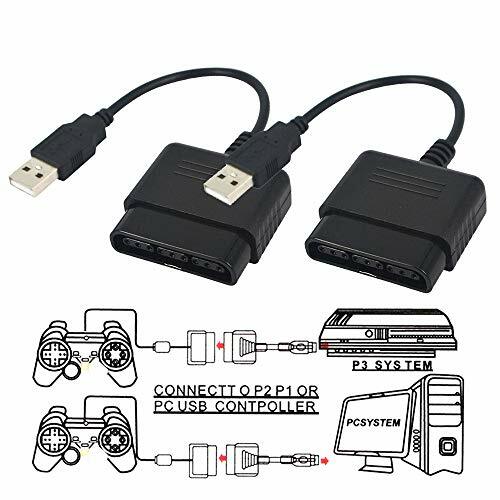 Compatible: Compatible with Playstation3, Playstation2 and PSX system. 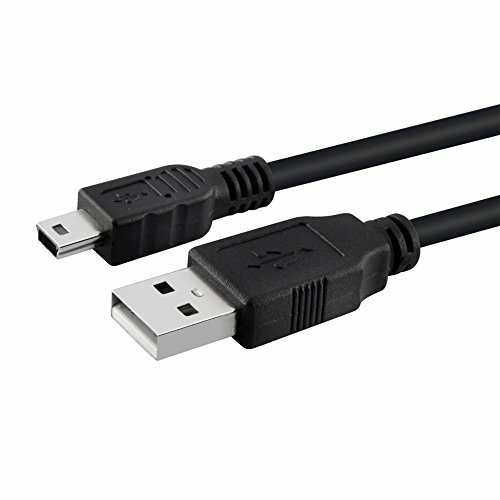 Function : This AV Cable provides composite video audio [L/R] output for connecting your Sony PlayStation 1, 2 or 3 to a TV / Monitor.